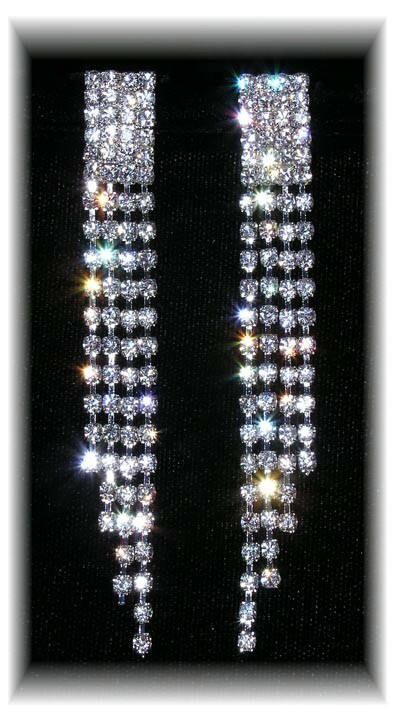 These earrings are pure glamour. Plain, simple and oh-so-classy - with a right and left earring - they shimmer and sway down the side of your face, each crystal dancing with reflected light with every movement of your head. Wonderfully versatile, you can add them to jeans for a low-key edgy look. To work wear to show people you mean business. Or to your favourite little black dress for a dress-to-kill approach. Size: 8cm (3¼").